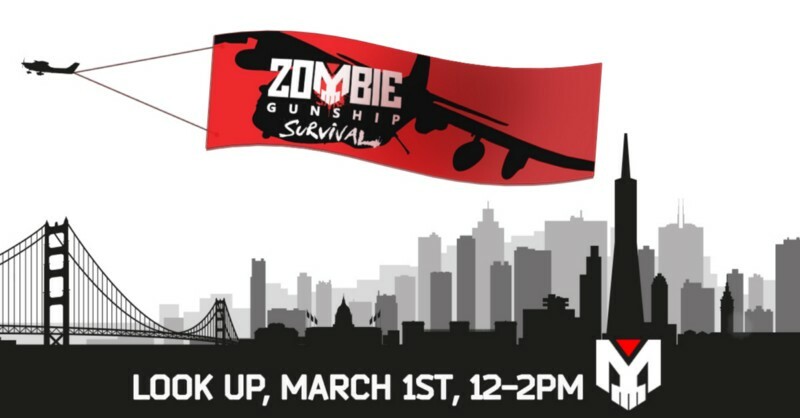 In the following marketing piece, we look at the launch of Zombie Gunship Survival plus a broader discussion around the philosophy mobile marketers adopt when globally releasing a product. A tonne of co-ordination and multiple plan iterations lie behind the execution of a global marketing plan, especially in the mobile games industry where thousands of competing games launch every week. As any marketeer will note, plans rarely stay constant from beginning to end. The key premise, however, is to release strategically-timed, impactful story beats, each one louder and more engaging than the last. Put short: by the time a product is globally launched, audience anticipation should have peaked rather than fallen off a cliff! The above thinking is what was applied to the global launch of Zombie Gunship Survival and the months leading up to its release. The original game in the Zombie Gunship franchise was #1 top-grossing and an IGN Editors’ Choice, so it was clear that to launch such an eagerly anticipated follow-up, we’d need to think deeply about the rollout of marketing materials. But before diving straight in, we looked beyond the franchise’s existing community, with an early task of the game’s Brand Manager being to pin down the true scale of the product’s appeal. Casting all assumptions aside, we engaged in a lengthy R&D process, with the end goal to find the core audiences we’d later target with the global marketing plan. We sat down with a variety of small focus groups and spent hours gathering their feedback on different messages and concepts. We then paired this with broader quantitative surveys that spoke to over 1200 gamers at a time, assessing the different reactions from certain demographics and even comparing certain crossover audiences such as those primarily engaging with console games. The soft launch phase is a critical stage for audience research, and it’s conventionally when the real market research deep dive takes place. During the soft launch of Zombie Gunship Survival we tested 30 different audience segments (target groups) in four different countries, reaching an audience of over 35 million people in the process. Sound like a lot of data? It was! Even the name “Zombie Gunship Survival” was a byproduct of these ongoing investigations, because once we’d ascertained the game’s core audience, we’d already discovered the name most appealing to them. Providing it also showed strong keyword/search potential (ASO), we had a winner. 1. You’ve pinpointed your game’s core audience and their expectations. 2. You can now begin your marketing campaign with confidence. From this point onwards, all the impactful story beats shaping the marketing campaign (as outlined in the intro), whether that’s the trailers, the influencer partnerships, the branding stunts, are led by the homework that’s been done during R&D. This is when the real fun begins in finalising the marketing rollout (meaning: a set of activities to achieve maximum attention/impact). Let’s now dive into just a few of the marketing campaign activities that were dictated by the R&D work. 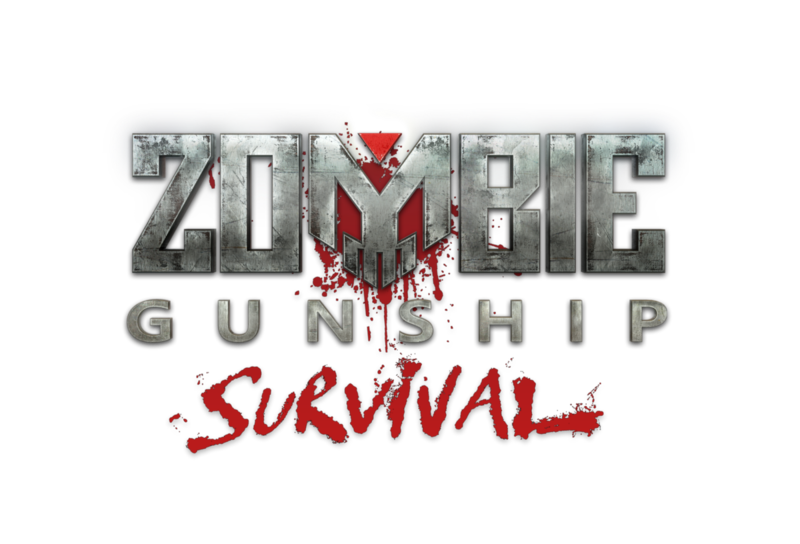 It was the beginning of last year and we’d internally locked the May release date for Zombie Gunship Survival. We were considering when and how to release this information, and as anyone involved in the gaming industry will know, GDC in San Francisco is the biggest Q1 event in the industry calendar. It’s tough to gain attention during such a crowded event, but our goal was to make a visible statement during the week, which would also resonate with our defined B2C audience. This banner nicely illustrates the core stunt! Meanwhile, coinciding with what was happening at GDC, we released our first core marketing trailer for the game, incorporating a combo of CG and in-game footage to align with what we learned was most emotionally appealing to our audience when playing the game. With both core tactics combined, over 750k members of the game’s primary audience were reached, while the ramp-up of video beats on the game’s official Facebook channel ensured continued hype long after the teaser trailer had been widely aired. In the weeks leading up to the game’s global launch, we’d prepared one last major push towards our core audience via an execution not many brands had tried to pull off at the time (or now, in fact). Using 360 degree camera technology, we wanted to give our audience an immersive insight into what it’s like to be caught up in a zombie apocalypse. We had the data to understand this would be the right creative to seed across target channels on Facebook — the key challenge was the complex nature of the creative itself. While it was important to identify the right community channels to seed the content, getting the tone of the 0:50 second video right was crucial for our audience to identify with it. As a top level insight, every creative rolled out during the marketing campaign needed to feel gritty, bleak, military realistic, while the emphasis on fighting for survival was a theme we’d established as a core appeal during R&D. This creative was no different and when it came to release, we invested heavily in quality views over volume. That said, the video reached over 5 million people within the game’s core audience, running across 19 community channels as well as our own. Once you’ve spent several months building up the storyline and the game’s wider brand, the global launch is the true test as to whether your campaign has resonated with the right audience or not! As anyone working in the gaming industry will know, whether on mobile, PC or console, the day 1 of a game can be tense, with timing of key trailers and messages critical to success from marketing side. As earlier stated, Zombie Gunship Survival was already part of an existing franchise within the mobile gaming sphere, and considering our regular audience awareness polls leading up to launch, expectations were high. Establishing that day 1 was the time to go high budget, high impact for this game, we’d been working for 3 months on the game’s launch trailer and had devoted significant time to ensuring it hit the key emotional notes. Ex-military personnel had been drafted to star in the execution and we’d teamed up with one of the best production houses in Europe in RealTime UK. Alongside the launch trailer hitting over 8.5 million people within the core target audience in the first days, we continued this momentum by partnering with key influencers, some of whom also agreed to feature in videos for our UA campaign. With the right channel and appropriate creative treatment, influencer marketing is a hugely impactful way to secure both awareness and downloads. One particular partnership with Demolition Ranch attracted tens of thousands of people to download the game just in the first day of the video going live. Alongside other similarly-timed partnerships, these activities contributed to over 2 million people downloading Zombie Gunship Survival in its first 4 days of release. When considering a mobile marketing campaign to break through the noise of competing releases, be bold, have fun, but know your audience. While digging deep into market research data requires time and dedication, it provides a vital framework to work around when planning your marketing spend. Finally, when rolling out a global marketing plan, ensure you don’t overcomplicate the messaging (or your thinking) and remain true to the heart of the game. In the case of Zombie Gunship Survival it was a very simple premise — to blow up zombies from an AC-130.